canned fit is an experimental, performative new music act. the sound sphere is created by hacked effect tools, finger microphones, voice, feedback and a trash orchestra of found sonorous footage. motorized cans vibrate in tune, the sound of materials like cans, tins, metal parts, electronic trash, paper, wood, water and wind are modulated and amplified through open mics. controlled coalition of the unpredictable. circuits of simultaneity. canned noises, tinned tunes and melodic distortions. 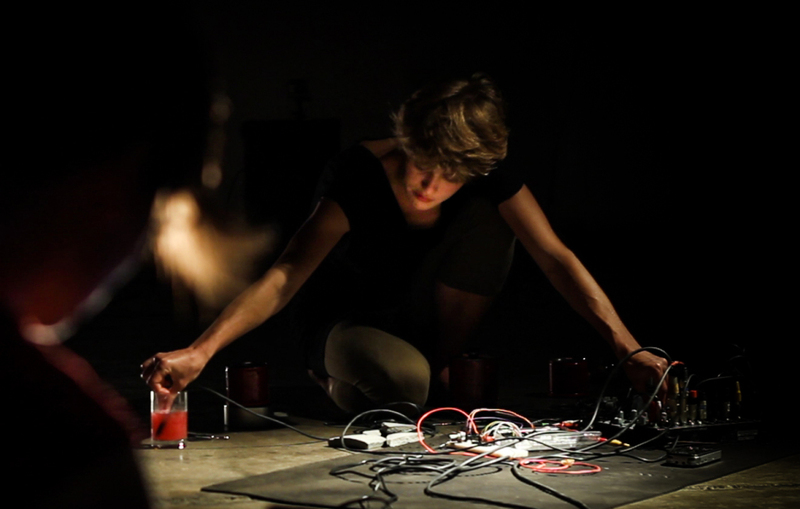 the sound artist christine schörkhuber works with a fragile yet powerful setup consisting of self-built electronic analog interfaces, sonorous everyday commodities and her voice. the performance is trembling between subtle crunchy sounds, song fragments, noise-fields and penetrating drones. the artist was educated in media and installation art and also works with sound installations. therefore she has an object-orientated approach towards her music. she is searching for specific sounds in the little things and enforces their character by giving them a function and a shape, similar to a sculptor working on his material. situation, room resonance and sound system are not considered just as circumstance and necessity, but as instruments on their own. canned fit performed at various international festivals, clubs and art spaces and was selected for the new austrian sound of music programme for 2014/15, her first solo release will be funded by austrian ske found.